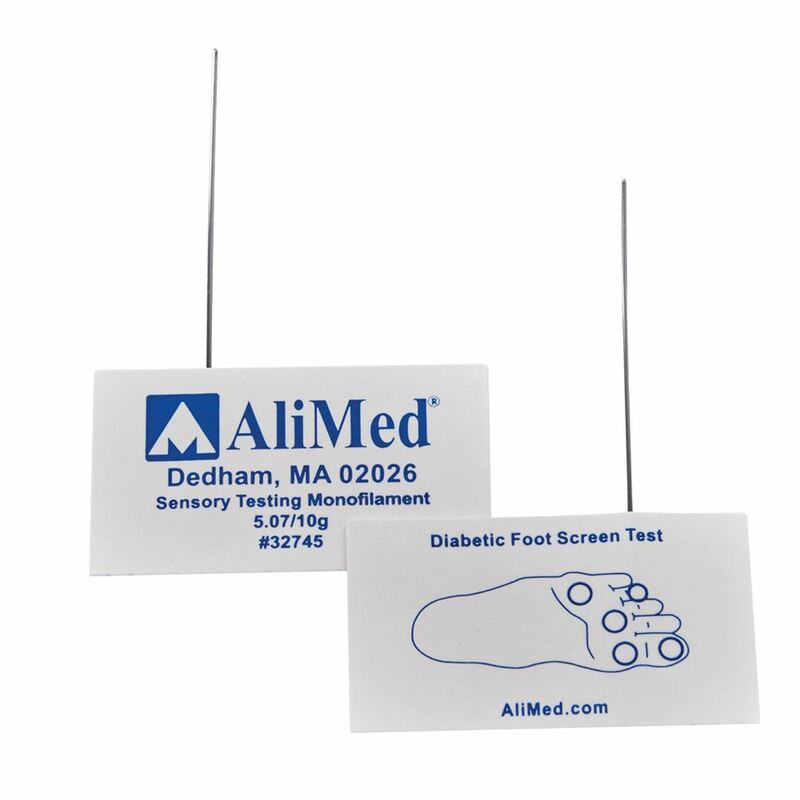 AliMed® Disposable Monofilament Monofilaments are the most effective testing tool for early detection of sensory loss or neuropathy in diabetic patients. 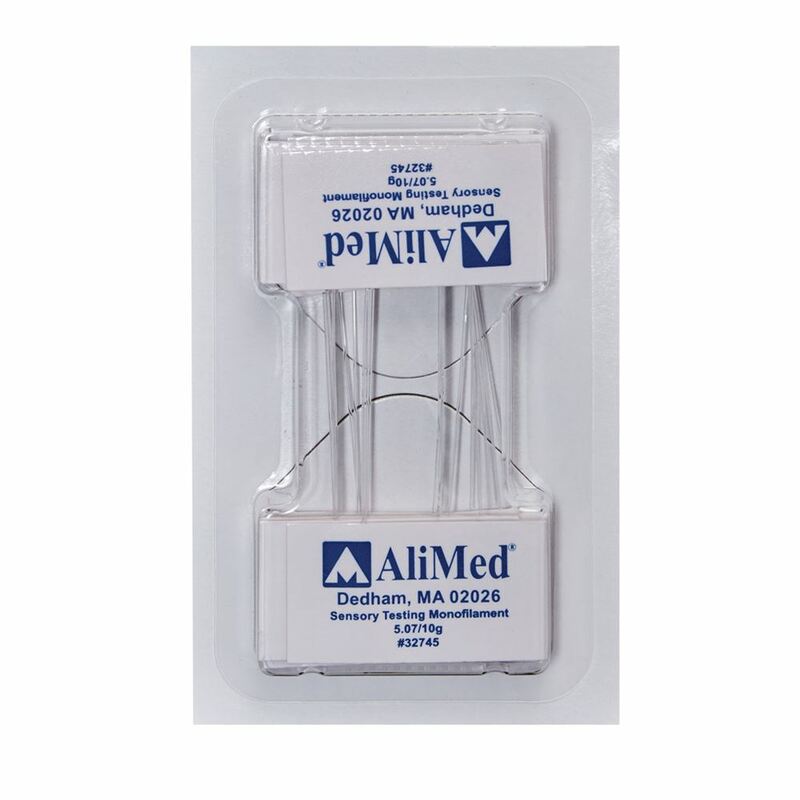 AliMed’s Disposable Monofilament provides superior testing consistency and accuracy using a proprietary filament that is resistant to environmental fluctuations—unlike nylon filaments, which can be affected by changes in humidity and temperature that can compromise results. 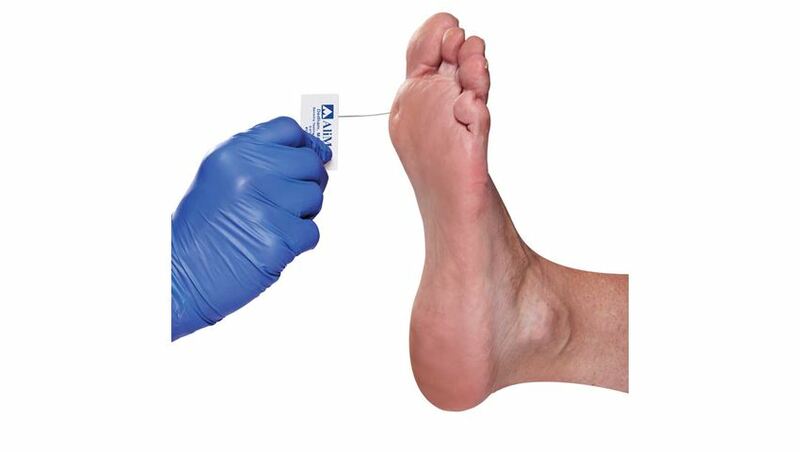 Monofilament is attached to a paperboard handle with a 5 site testing protocol map on the back. 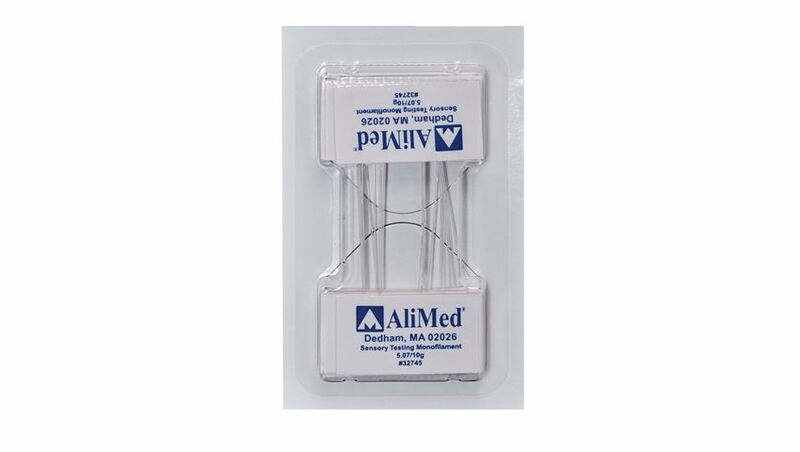 Perforated blister pack for protective storage. 20 per pack. 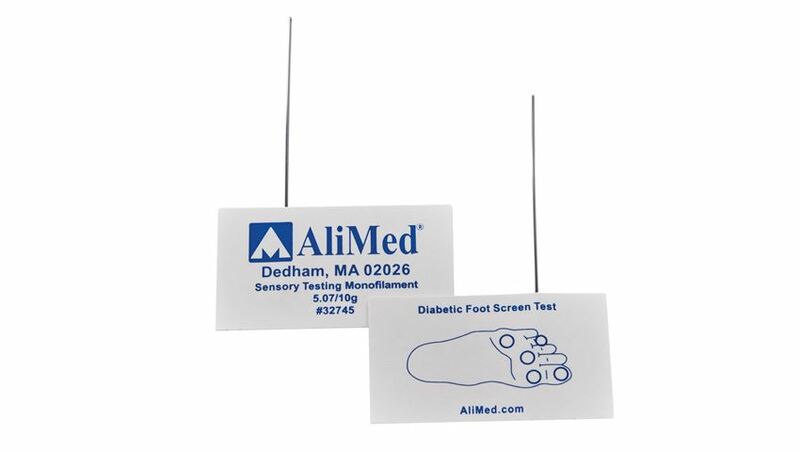 For more information on AliMed® Disposable Monofilaments click here.